How adorable! 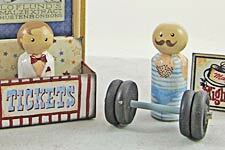 Tiny costumes for a miniature wooden peg doll circus! These are sized for the Small Wooden Peg Dolls. Exclusive to Alpha Stamps by Kristin Batsel. 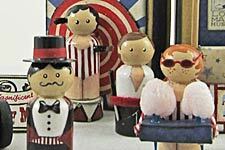 Tiny Peg Circus by Kristin Batsel. See the Supply List.